Some films demand a second viewing, because they are extremely complex or because they are simply that good. The Girl in the Spider’s Web is neither of these. It is a film that demanded a second viewing, because it is that forgettable. Despite having seen it in theaters mere months ago, I found myself struggling to remember even basic plot elements. The one thing I had a distinct recollection of, even before repeat viewings, was the drastic changes to the narrative from the original Swedish films. This is likely because this is based on the fourth book in the series, which was not written by creator Stieg Larsson. Also, as per usual, Hollywood has neutered and boxed in what was once an innovative franchise. Even more pointless than the first American installment, and lacking the distinct visual flair of David Fincher, The Girl in the Spider’s Web simply turns the dark series into a generic espionage action film. In the acclaimed Millennium book series and the original trilogy based on them, Lisbeth Salander is a highly resourceful hacker. 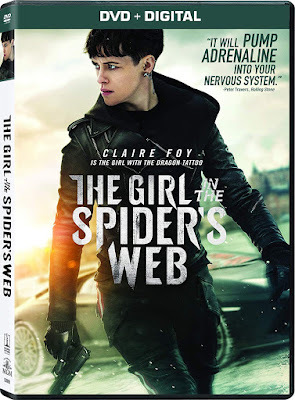 In The Girl in the Spider’s Web, Lisbeth (Claire Foy, this time around) is quickly turned into an action hero, even when it is completely illogical. Gone is the intelligence from the first three narratives, and now it is all about mindless spectacle. Set in seemingly always icy Stockholm, Lisbeth is hired by a computer programmer named Frans Balder (Stephen Merchant) to steal back a program he created. The program, Firefall, is capable of accessing all of the world’s nuclear codes. This is something just ridiculous enough to be found in a James Bond film. When the program falls into the hands of a group of mercenaries led by Jan Holtser (Claes Bang), Lisbeth is suddenly tasked with saving the world. To make matters worse, the NSA believes that she has stolen the program, and begins to hunt Lisbeth. Even Mikael Blomkvist is little more than a supporting character in this installment, leaving more room for explosions, chase scenes, and shoot-outs. Don’t get me wrong, I love action movies. I just don’t like generic and forgettable ones. 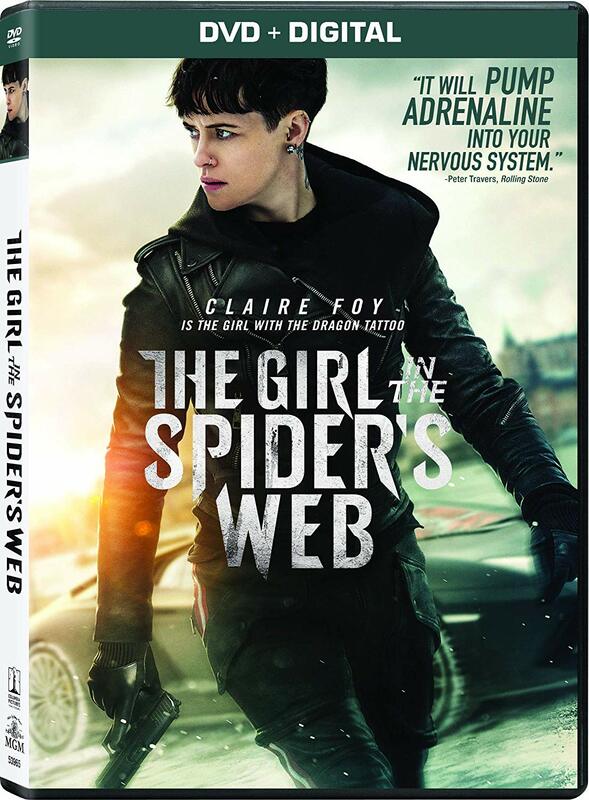 The DVD release of The Girl in the Spider’s Web comes with a digital copy of the film. The extras on the disc include a featurette on Claire Foy’s transformation into Lisbeth, although she is more physically convincing when not speaking. Unfortunately, the Swedish accent ends up sounding a great deal more German. There is also a featurette about a twist in the film’s narrative, but the only really worthwhile extra is a feature commentary track with director Fede Alvarez and screenwriter Jay Basu.